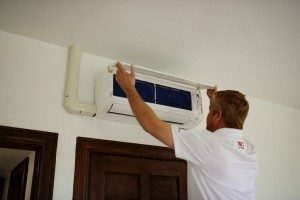 Best Air Conditioning & Heating Service Elkwood, VA | Robert B. Payne, Inc. Your chosen HVAC company should be both affordable and high-quality. The two are not mutually exclusive. At Robert B. Payne, Inc. we combine these two factors to ensure air conditioning and heating service in Elkwood, VA, is available for everyone. That’s right; our team handles both residential and commercial clientele. Your needs? We meet them and surpass expectations! Take a moment to consider the sheer number of air conditioning and heating companies in the area. There are quite few. None provide the same level of number of services as Robert B. Payne, Inc. though! Why Choose Robert B. Payne, Inc. Founded in 1930, Robert B. Payne, Inc. has long helped homeowners and local businesses heat or cool their properties. We are the premier family-owned business, with over 80 years of experience. That very same experience works for you today, providing quality and affordability! If your HVAC system is showing its age, it may be time for a new system. You’ll want professional installation. Why? By opting for professional service, you significantly reduce the risk of costly repairs. Furthermore, together, we’ll increase the energy efficiency and lifespan of the system! Your HVAC system deserves some attention on occasion. It’s easy to forget about the entire unit while it is working correctly. To ensure that remains the case, our maintenance services clean the entire system, change the filters, and resolve potentially troubling issues early! If maintenance is ignored, repairs are likely. Know that Robert B. Payne, Inc. will be provide prompt, affordable repairs, however. We work with top manufacturers to ensure the parts you receive are high-quality and long-lasting. Our repairs have a tendency to last! Consider expert air conditioning & heating service in Elkwood, VA, with Robert B. Payne, Inc. You may schedule service by calling (540) 373-5876! We serve entire Elkwood, VA 22714, 22718.